1st Alaska Tours employs individuals who have attention to detail and take pride in their work. Our fleet of 8 vans allows us to operate tours year round for guests to Alaska’s Interior. Our detailers need to be able to process a van in a timely manner to ensure that it is presentable to our guests. 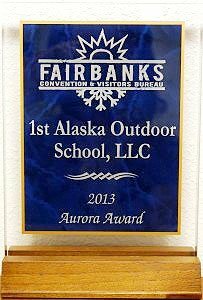 1st Alaska Tours detailers play a key role in the day to day operation and success of the company. If you are interested in joining our fleet team, please review the job description and complete the online application. Detailer is expected to work on tour vans according to instructions. Detailing of tour vans includes exterior and interior cleaning and engine detailing, using a variety of products and tools. Detailer is expected to work independently and possess attention to detail when performing job functions. Physical work and some outdoors duties are often required (during all seasons). Position additionally requires cleaning duties both inside the office and outdoors. Technician is responsible to assist in maintenance tracking and scheduling of maintenance for all tour vans. Indoor and outdoor work required, year round. functions of this job, the level of knowledge and skill typically required, and the scope of responsibility, but should not be considered an all-inclusive listing of work requirements. Individuals may perform other duties as needed, including working in other functional areas to cover absences or relief, to equalize work periods, or to otherwise balance the workload. Please list Employer, Contact Information, Job Title, Duties and Reason for Leaving. Please list any schools, training or certifications you have completed. Do you have a clean driving record for the past 5 years?